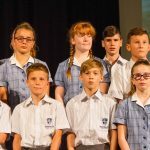 The Year 7 Commencement Ceremony was held on Monday morning in the College Auditorium. 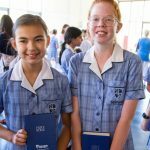 Our Year 7 students received their welcome Bible to signify the College values and Mr Mark Ashby shared about the Kennedy values of; boldness, faith, Integrity, growth and service. Principal Mr Mark Ashby said, "We trust that your first day of Secondary Education is a memorable occasion which will be the beginning of many fond memories of Kennedy. Our goal is to provide you with a wonderful environment to thrive, in a safe and happy place." 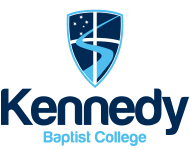 It was pleasing to welcome more than 200 parents to see their child make their first step along their “Kennedy Journey”. 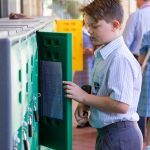 We encourage all families to make the most of opportunities to join us as part of our community. The Year 7s then enjoyed some fun activities run by our College Chaplain, Mrs Pauline Burgess. The 11/7s program continues throughout Term 1 with our Year 11s mentoring the Year 7s in Care Groups on Wednesday mornings.